Sunshine plus the end of the week = giddy fashion blogger! 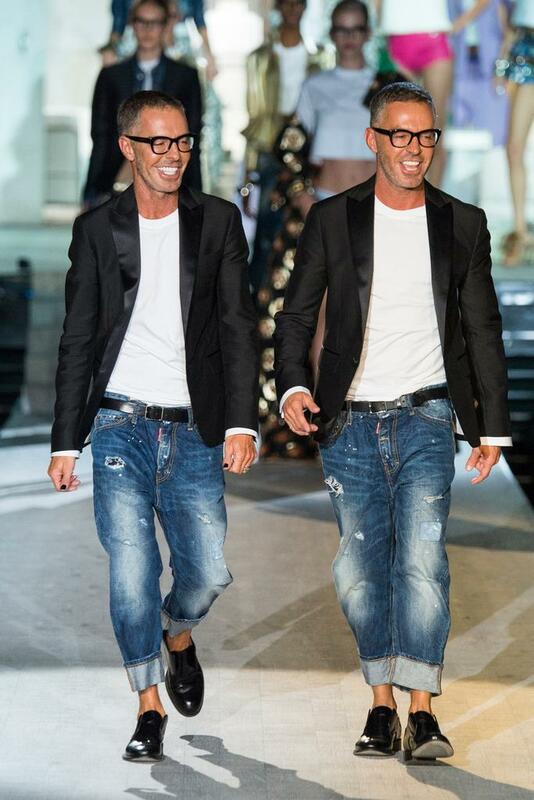 DSquared2 (the beyond brilliant line by twin Canadian brothers Dan & Dean Caten) is about to open a store in the U.S., finally in my humble opinion, on Rodeo Drive. reversecommuter has loved/obsessed over these designers since waaaaaaaay back to my very first job, retail shop girl for Ports International when Dan & Dean were the head designers. 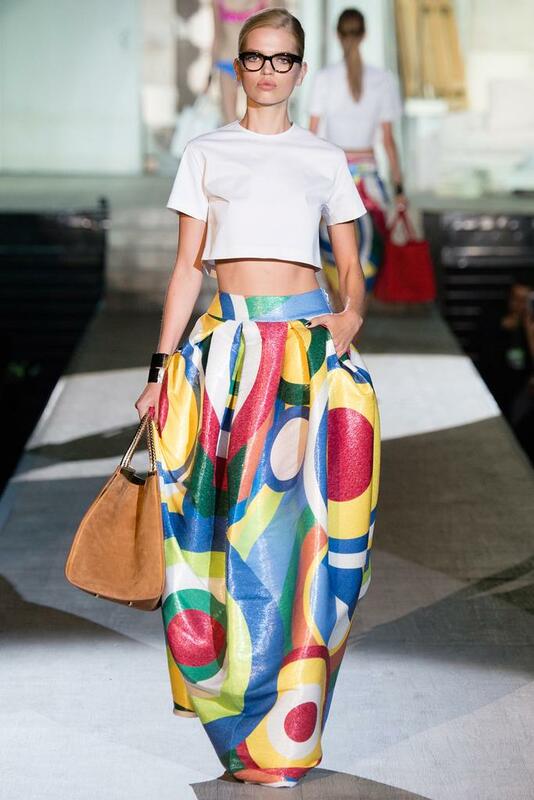 DSquared2 presented their Spring 2015 show yesterday in Milan and it did not disappoint! They are mad geniuses (or is that genuii?) for denim – their jeans are the truest form of beauty that no other denim designer has ever touched. Add to that their shoes, bags, hats, dresses, trenches, not to mention leather and this line is truly one to be VERY excited about. Not to mention, all the models were sporting eyewear that matched the twins – adorbs! 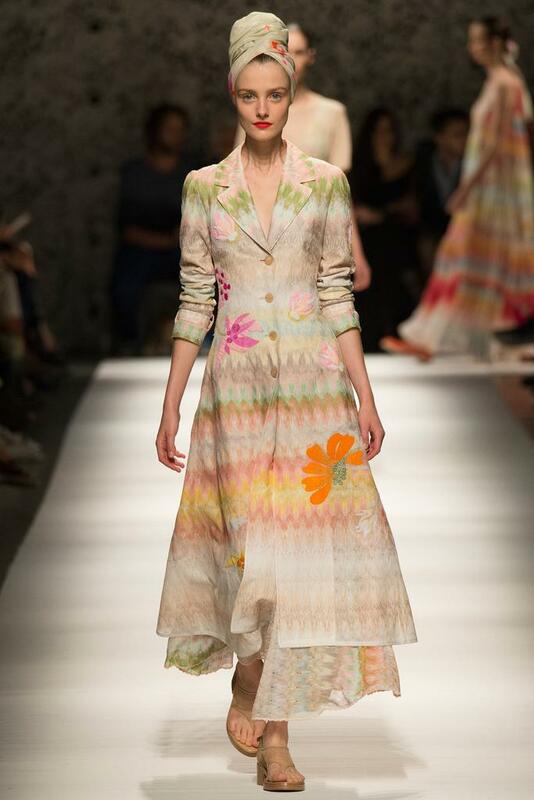 Etro and Missoni presented at Milan Fashion Week today and reversecommuter is now dreaming in technicolor gorgeousness! Even in Fall Collections both of these houses work in bright rich tones, a perfectly timed reminder to embrace the rainbow as we slowly enter the colder months. Nothing makes black, grey and blue pop more than a hit of brilliance! Stella does it again! Stella McCartney presented her Green Carpet Collection, highlighting a sustainable evening capsule collection and it not only makes the world a better place, it also for quicker heart rates amongst fashion lovers! “The green carpet is the most sought-after validation in the fashion world for sustainability and excellence,” and this collection is so pretty it is easy to forget it is all eco too! Like falling into a decadent bowl of highlighter bright sorbet! In a time of mass production, copying and reproductions and disposable fashion, Stella McCartney has once again risen to the tippetytop of designers. FAB FAB FAB!!!!!!!! 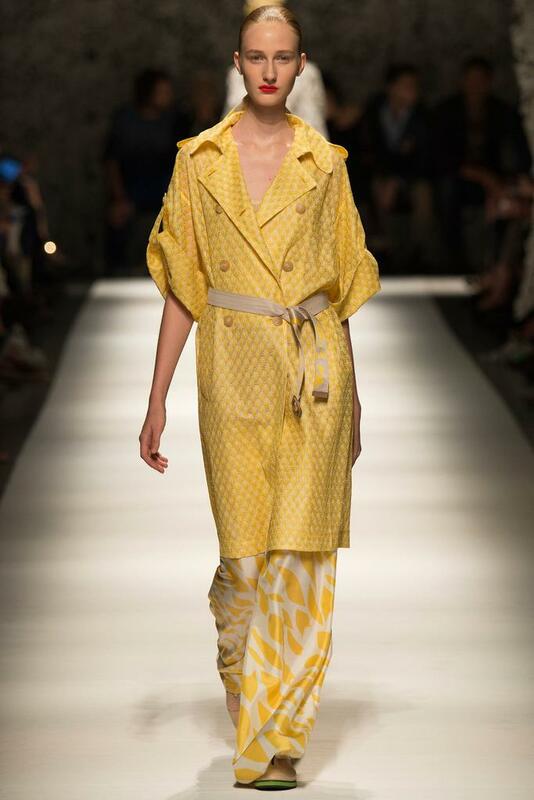 Celebrate that which makes you pop like a champagne cork this weekend – but do it in a Milan Fashion Week worthy outfit! This entry was posted in Uncategorized and tagged boston fashion blog, Canada, Champs, Dan & Dean Caten, denim, designer denim, DSquared2, eco chic, eco fashion, Etro, fashion blog, fashion blogger, Green Carpet Challenge, Italian designers, Italy, Leather, Lucky, MFW, Milan, Milan Fashion Week, Missoni, mommy blog, mommy fashion blog, Patch.com, Ports International, rocketshell.com, Rodeo Drive, Spring 2015, Stella McCartney, style editor, Style.com, suburban fashion blog, suburbanly challenged, Toronto, weekend by reversecommuter. Bookmark the permalink. I can see why they deserve the admiration !!! MM what a phenomenal comment to receive! I’m mad about DSquared2! Pumped to hear a store is opening in the US even if it is on a street that I don’t often get to travel….